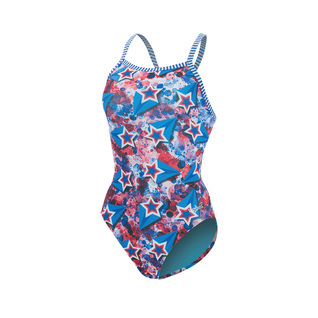 Add freedom to your swimming with the all new Dolfin Uglies Liberty V-2 Back Female. Thin, durable straps and moderate leg opening provide ample range of motion. The star spangled design will show your patriotic nature right away with a red, white, and blue color scheme. Do not let the looks fool you, this is still an Uglies suit one of Dolfin's best practice swimsuits.